Before the Enlightenment, before Spinoza had rejected traditional beliefs about the Bible, came the humanistic skeptics of the Renaissance. Alongside such thinkers as Erasmus and Montaigne, Eliezer Eilburg now takes his rightful place. Jaqueline S. du Toit, Jason Kalman, Hartley Lachter, and Vanessa R. Sasson. 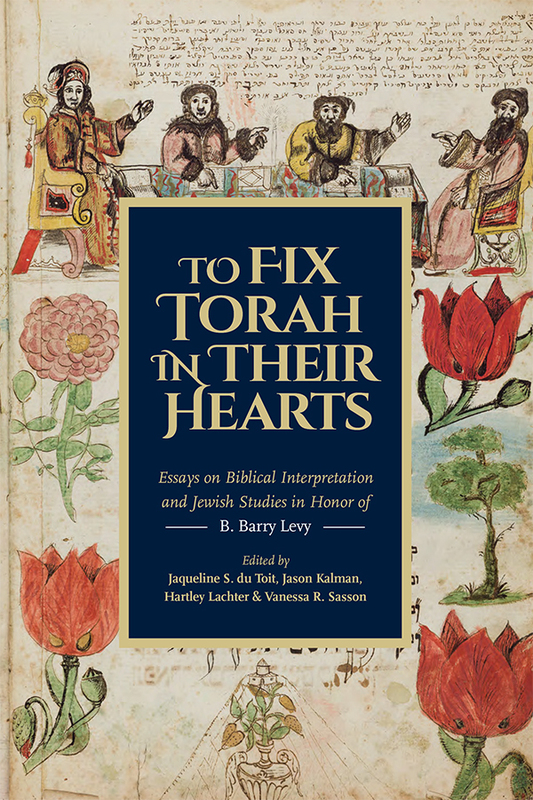 In this volume, students of beloved teacher B. Barry Levy come together to honor his erudition, superb pedagogy, kindness, and verve, with a collection of essays that reflect Levy’s wide range of interest and expertise. 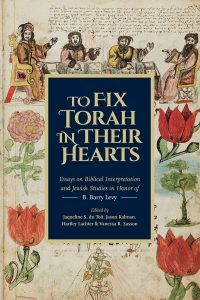 Levy, sensitive to the meaning of a text for its original and intended audience, but also to how that meaning changes and develops over the course of years of interpretation, gave his students the broadest education in the evolving context of biblical study. This expansive focus is evident in the essays included in this book. From a study of astronomical observations in the ancient Near East, to an exploration of the excesses of obedience and sacrifice as recounted in the stories of Abraham and Isaac and the Buddhist Vessantara Jātaka, from Talmud, to modern Bibles for children, to the evolution of the Dead Sea Scrolls from text and artifact to sacred object, To Fix Torah in Their Hearts is a diverse and engaging collection, of value to scholars and general readers alike.